We return to one of our favourite venues on Saturday 14th November. Nights at Krakatoa (formerly The Moorings) are always to be remembered……..and they have one of the greatest ranges of beers in Aberdeen! 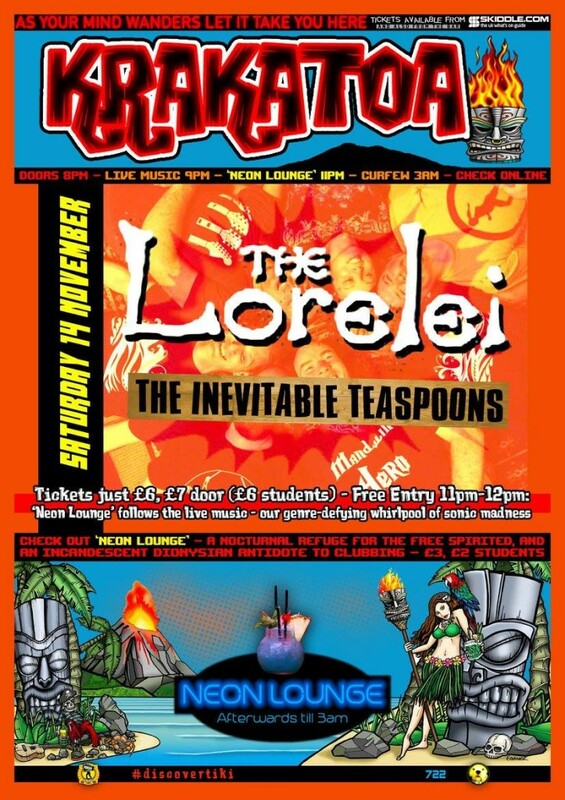 The night kicks off at 8pm and the wonderful The Inevitable Teaspoons will open proceedings. Neon Lounge will follow the gig from 12am-3am for those of you who can stay up later than us! Tickets: £6 in advance from Skiddle or £7 on the door.